I recently saw a fox squirrel at Tosohatchee State Reserve. My friends and I were all "WHAT IS THAT??" because none of us had ever seen one. It is larger and seemingly longer than a regular squirrel, it kept standing up and I was thinking meerket/prairie dog?? 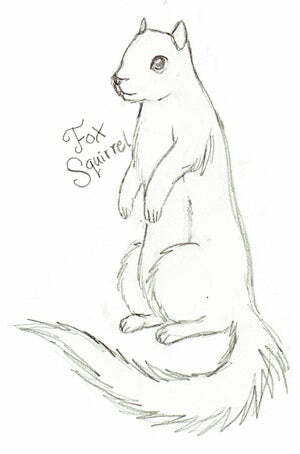 But apparently it is a fox squirrel. I get excited to see rare animals like bobcats, but it's even more exciting to see an animal I've never even heard of! 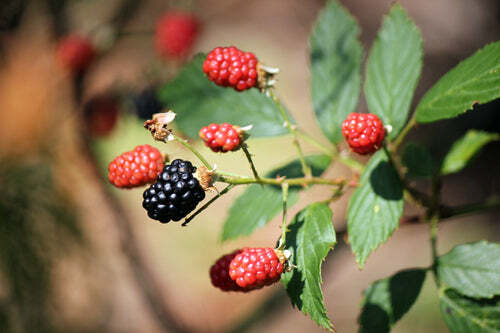 Another pleasant surprise is hiking along and finding a patch of wild blackberries. Yummy!